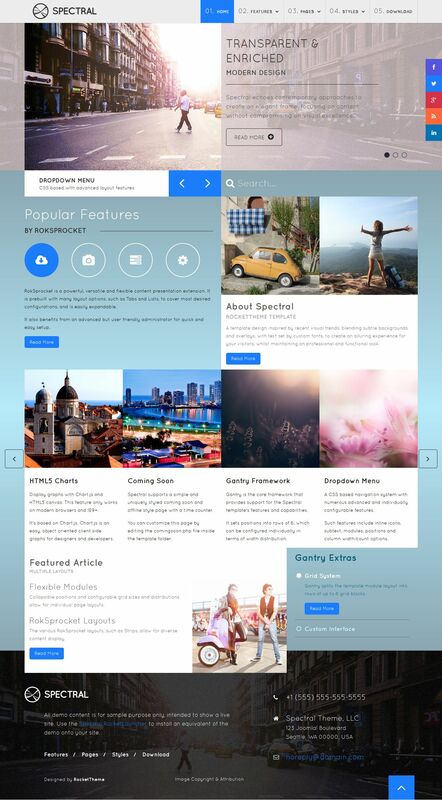 RT Spectral - it represented the developers of this popular design studio like Universal RocketTheme template for CMS Joomla versions 2.5x and 3.1x. The template has a modern design, which includes in appearance 8 variants, which are easily using the internal manager editing. Elegant style in the template is achieved by using the latest trends of web development. Layout has adaptive layout that supports any existing mobile platforms and correct, any screen display of a site. RT Spectral includes a 88 module positions. Excellent optimized downloading images has a sequence and more. There assembly club expansion.